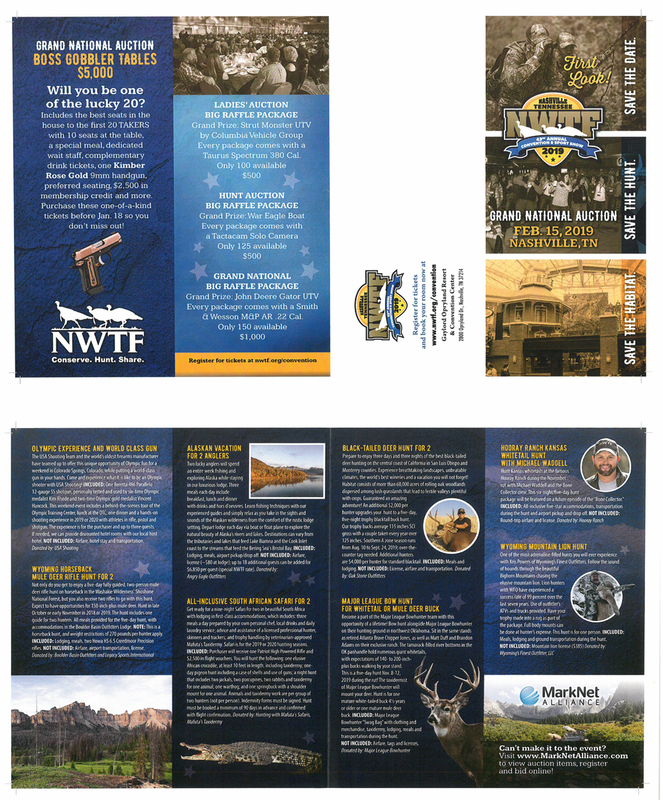 CATALOG: NWTF has put forth every effort in preparing the catalog for this auction to provide accurate descriptions of all items. All lots are sold AS-IS, WHERE-IS, with all faults, imperfections and errors of description. Due diligence is the responsibility of the bidder/buyer. Printed statements or descriptions by staff are provided in good faith and are matters of opinion. PAYMENTS: All sales are final. All accounts must be settled at the conclusion of the auction. No credit card charge backs will be allowed. We accept Cash, Checks, Visa and MasterCard ONLY. Your credit card will be charged for your purchases, plus a 5% Fee, plus any applicable taxes. Note: Checks may be processed the day of the auction; be sure to have adequate funds in your account. Each transaction necessary to collect insufficient funds will have a $25 fee imposed in addition to the liability of the Default of Buyer below. DEFAULT OF BUYER: Successful bidder not paying for items at the end of the auction will be considered in default. Such default by the Successful Bidder will result in that Bidders liability to both the NWTF and MarkNet Alliance, Inc. Seller shall have the right to (a) declare this contractual agreement cancelled and recover full damage for its breach, (b) to elect to affirm this contractual agreement and enforce its specific performance or (c) Seller can resell the items either publicly or privately with MarkNet Alliance and in such an event, the Buyer shall be liable for payment of any deficiency realized from the second sale plus all costs, including, but not limited to the holding/transporting/storage costs of the items, the expenses of both sales, legal and incidental damages of both the Seller and MarkNet Alliance. In addition, MarkNet Alliance also reserves the right to recover any damages separately from the breach of the Buyer. The purchaser agrees to pay all reasonable attorney fees and costs incurred by MarkNet Alliance in the collection of funds. Any debt collection or dispute proceedings will be litigated or arbitrated in Anderson County, South Carolina at the option of both the Seller and MarkNet Alliance.  CONDUCT OF THE AUCTION: Conduct of the auction and increments of bidding are at the direction and discretion of auctioneer and MarkNet Alliance reserves the right to reject any and all bids for any reason and also reserves the right to cancel this auction, or remove any item or lot from this auction prior to the close of bidding. 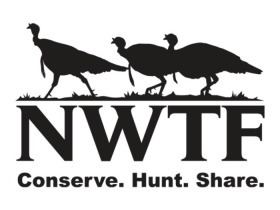 All decisions of the auctioneer, NWTF and MarkNet Alliance are final. 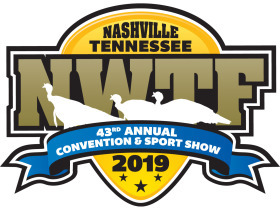 Your bid on this auction indicates both an understanding and an acceptance of the terms of this contractual agreement between yourself and both MarkNet Alliance and the NWTF and that you, as the Bidder, are prepared to purchase items under these terms and conditions.